“He was very generous, to share his wealth with one and with all. He was not stingy. He was very gracious, kind and harmonizing. You may come and say: “Oh, this devotee said this, this devotee said that!”. Most people will then just jump and say: “Oh, then he should have a beating”. Immediately they will jump to one side. Srila Sridhara Maharaja would hear whatever you had to say, and then ask “Now, what does that other fellow have to say?”. Like in a court, let’s hear both sides of the story. He would not side with any party, and many times both parties are wrong. Then he would give a lesson, good for both parties. Not that he would just take a right or a wrong. Sometimes there was a right and a wrong. But even in right and wrong, is it always necessary to prove right and wrong? If you are such a black and white character in your dealings, you will always struggle with people. Maybe right, maybe wrong, harmonizing is the way to live peacefully. Not compromising. That’s a different thing. That’s when you put down your principles. But harmonizing should be one of your principles. There is a difference between compromise and harmonize. Harmonize is when you take it to a higher level. Compromise is that it goes to a lower level. Someone says this, and you come down, and you say “Ok” and we agree on some things down here, that’s compromise. Srila Sridhara Maharaja was a harmonizer, not a compromiser. He would try to harmonize for the benefit of everyone. You can defeat someone. Generally when you defeat someone, they don’t fall at your feet and tell you you’re right. They just shut their mouth in anger and go away. And they continue to talk their nonsense. You must yourself knock at the door of the inexhaustible store of truth from which the former ages drew their wealth. Go, go up to the Fountain-head of truth where no pilgrim meets with disappointment of any kind. Vyasa did it and obtained what he wanted. We have been advised to do so. Liberty then is the principle, which we must consider as the most valuable gift of God. We must not allow ourselves to be led by those who lived and thought before us. We must think for ourselves and try to get further truths which are still undiscovered. In the Bhagavat we have been advised to take the spirit of the shastras and not the words. The Bhagavat is, therefore, a religion of liberty, unmixed truth and absolute love. These words found at the beginning of “The Bhagavat, Its philosophy, Ethics and Theology” were originally spoken by Bhaktivinode before an audience of Bengali intellectuals at Dinajpur in 1869. I never understood the meaning of “dry” knowledge. Knowledge have never been dry to me, on the contrary it has been like a well of inspiration. I thrive on knowledge, it’s what keep things interesting. For the first time I felt something when I read these two verses, especially the first verse of “Kabe habe bolo”. If I read the next verse; nothing, no feeling. No understanding. But especially the first verse of “Kabe habe bolo” is crying out to me. The feelings are so clear, and suddenly available to me. Suddenly I understand why the feeling “dry” is used, knowledge without feeling is dry. There is a level of realization missing that gives a deeper understanding and meaning to it. Knowledge without the heart is dry. Please abide in the temple of my heart both day and night, O Krsna Murari, O Sri Krsna Murari! Devotion, love, flower garlands, and sandalwood- please accept them, O Delighter of the Heart! Come, son of Nanda, and then, O Son of Nanda, I will offer Your arati ceremony with the lamplight of my love. The waters of the Yamuna River cascade incessantly from my eyes in your separation, O Holder of Govardhana Hill! 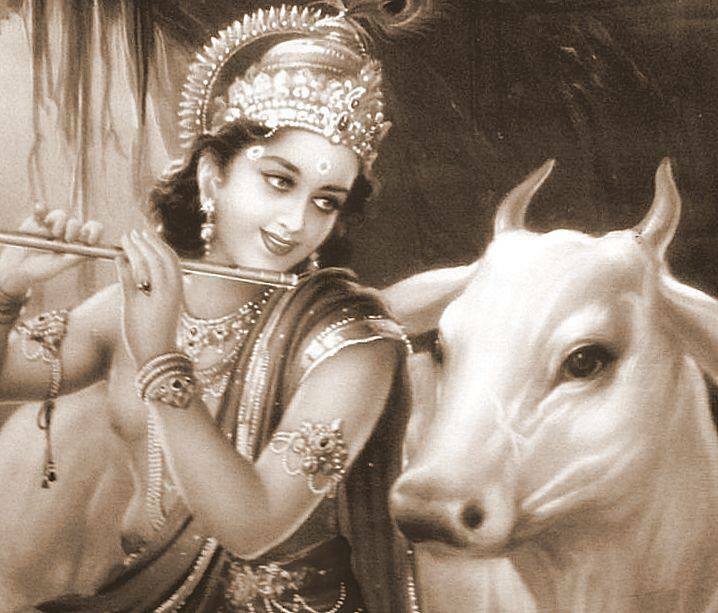 May I pass my life absorbed only in songs of Your praise, O Krsna Murari, Sri Krsna Murari! Accepting only what is necessary or dealing with the material world only as far as necessary. One should rigidly give up the company of nondevotees. One should not instruct a person who is not desirous of accepting devotional service. One should not be very enthusiastic about constructing costly temples or monasteries. One should not try to read too many books, nor should one develop the idea of earning his livelihood by lecturing on or professionally reciting Śrīmad-Bhāgavatam or Bhagavad-gītā. One should not be neglectful in ordinary dealings. One should not be under the spell of lamentation in loss or jubilation in gain. One should not disrespect the demigods. One should not give unnecessary trouble to any living entity. One should carefully avoid the various offenses in chanting the holy name of the Lord or in worshiping the Deity in the temple. One should be very intolerant toward the blasphemy of the Supreme Personality of Godhead, Kṛṣṇa, or His devotees. In marking such tilaka, sometimes one may write Hare Kṛṣṇa on the body. One should accept flowers and garlands that have been offered to the Deity and the spiritual master and put them on one’s body. One should learn to dance before the Deity. One should learn to bow down immediately upon seeing the Deity or the spiritual master. As soon as one visits a temple of Lord Kṛṣṇa, one must stand up. One must circumambulate the temple building at least three times. (In every temple there is an arrangement to go around the temple at least three times. Some devotees go around more than three times — ten times, fifteen times — according to their vows. The Gosvāmīs used to circumambulate Govardhana Hill.) One should also circumambulate the whole Vṛndāvana area. One must render personal service to the Deities. One must recite notable prayers. One must taste mahā-prasāda (food from the very plate offered before the Deities). One must drink caraṇāmṛta (water from the bathing of the Deities, which is offered to guests). One must smell the incense and flowers offered to the Deity. One must touch the lotus feet of the Deity. One must see the Deity with great devotion. One must offer ārati (ārātrika) at different times. One must hear about the Lord and His pastimes from Śrīmad-Bhāgavatam, Bhagavad-gītā and similar books. One must pray to the Deity for His mercy. One should remember the Deity. One should meditate upon the Deity. One should render some voluntary service. One should think of the Lord as one’s friend. One should offer everything to the Lord. One should offer a favorite article (such as food or a garment). One should take all kinds of risks and perform all endeavors for Kṛṣṇa’s benefit. In every condition, one should be a surrendered soul. One should pour water on the tulasī tree. One should regularly hear Śrīmad-Bhāgavatam and similar literature. One should live in a sacred place like Mathurā, Vṛndāvana or Dvārakā. One should offer service to Vaiṣṇavas (devotees). One should arrange one’s devotional service according to one’s means. In the month of Kārttika (October and November), one should make arrangements for special services. During Janmāṣṭamī (the time of Kṛṣṇa’s appearance in this world) one should observe a special service. One should do whatever is done with great care and devotion for the Deity. One should relish the pleasure of Bhāgavatam reading among devotees and not among outsiders. 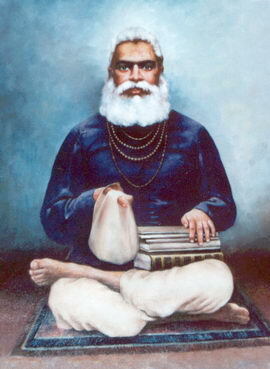 One should associate with devotees who are considered more advanced. One should chant the holy name of the Lord. One should live in the jurisdiction of Mathurā. I was searching for the 64 limbs of bhakti, but was unable to find them. So I looked it up in my Nectar of Devotion. I noticed that the vedabase’s Nectar of Devotion is lacking the first 10 items. I just wanted to make the 64 limbs easily available by search.